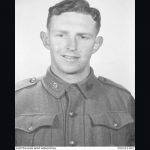 Corporal Charlie McCallum of 2/14th Battalion at Isurava in August is one of the epics of the campaign: he held off the rapidly advancing Japanese with a Bren gun in his right hand and a Thompson sub-machine gun in his left, allowing his platoon to withdraw to safety. McCallum was wounded three times during this encounter held the enemy a bay with his Bren gun and when the magazine ran out he checked their advance with the Tommy gun while reloading the Bren gun one handed. McCallum kept up this extraordinary juggling of weapons until all of his mates had slipped away, the Japanese had been that close to McCallum that one of them tore a utility pouch from his belt as he tore himself free from their hold. This action must surely have warranted the highest award, but perhaps the approval of two VCs to a single unit for the same action (a common enough event during the First World War) was not considered appropriate. Kingsbury received the VC posthumously, while McCallum received the Distinguished Conduct Medal, but was killed in action only a week later. McCallum died on Brigade hill leading from the front in a bayonet charge that failed to breach the Japanese perimeter. 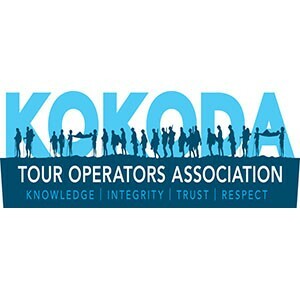 On Escape Trekking Adventures Kokoda Trail tour you will walk the ground of the bayonet charge. Born in Armadale in Melbourne, Bruce Steel Kingsbury was aged 24 at the time of the Isurava Battle. Bruce was a real-estate working at his fathers firm in Northcote Melbourne prior to the war. Bruce enlisted in the AIF and was a part of the 2/14th Battalion 9 platoon. On the 29th of August during the Battle of Isurava, Battalion headquarters were facing imminent danger and capture after a breach of their defenses by enemy troops. In response to this situation a counter-attack was ordered by a Colonel Key. Although not being required to go, as Bruce was of another platoon Pte. Kingsbury was remembered to have quickly volunteered. Running down the hill towards advancing enemy troops. Kingsbury had apparently seen one of his friends desperately trying to protect the headquarters, despite suffering from fatigue from being in constant contact with the Japanese from the 27th of August. Kingsbury grabbed hold of a Bren gun and had charged towards the oncoming attack. Recounts note how Kingsbury took down many of the enemy soldiers in his charge towards them, firing accurate shots inflicting huge amounts of damage. Giving time and motivation to his comrades who had been watching the event unfold before them. Thanks to Kingsbury’s actions they were re-energised, able to fight back and regained a safe position around headquarters. Sadly, as the Australian troops advanced forward to join Kingsbury he was fatally hit in the chest by a Japanese sniper as he was reloading his gun. Although Kingsbury was in his final moments, he was not alone. His best mate, Alan Avery, who was apparently with him the entire time, released an unknown number of bullets before going to Kingsbury and cradling him in his arms. By this time the fierce Japanese opposition had begun their retreat which allowed Avery an opportunity to place Kingsbury onto his back and carry him up the hill to the headquarters. Initially buried at Kokoda, Bruce’s body was relocated to Bomana war cemetery. All of our Escape Trekking Adventures will stand in the location of these actions when on our Kokoda track tours. The story of two brothers who grew up together, played rugby together, enlisted together and fought side by side together. 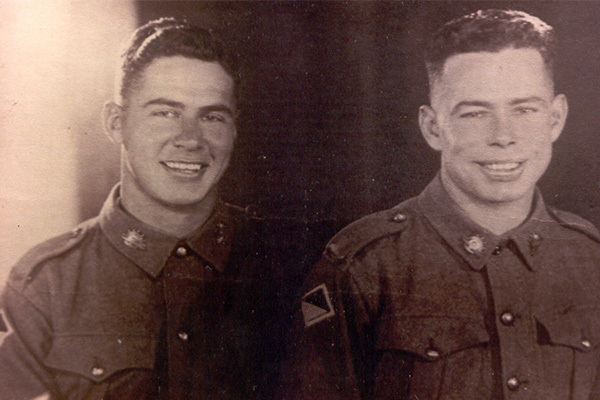 Stan and Butch Bisset where two highly popular and respected soldiers of the 2/14 Battalion. Stan was the Battalion intelligence officer and Butch a lieutenant of a platoon. 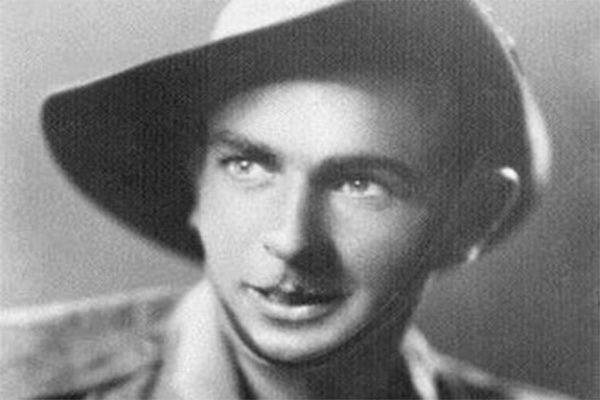 Stan had a premonition visualizing his brother’s death while singing around a campfire with his brother while crossing the Owen Stanley Range to defend Australia at the Isurava Battle. The day that Butch was mortally wounded, Stan was on his way up to see Butch (B company holding the crucial high ground) when a wounded comrade called out for Stan’s help. Stan assisted the wounded youth back to RAP (Regimental Aid Post) and saw the young soldier was taken care of. Stan turned and he proceeded to check on his brother when word came through that Butch had been hit and was in bad shape. Butch had been checking on the others in his platoon and distributing ammunition to the adjacent foxholes when a burst of machine gun fire hit him in his stomach. Under heavy fire from the Japanese Butch gave out stern orders for his men to leave him be as he was done for, lying there in agony waiting to die. His men would not here of it and under covering fire extricated him to the RAP with Butch yelling orders to put me down and save your selves. Near by Surgeons Rock is the site of the location where (80m on the southern side of the rock) Stan Bisset held his brother, Butch, in his arms as he died from the wound to the stomach. For six hours Stan and Butch, the best of friends, sat just off the Kokoda track as the battle continued around them, laughing, crying and remembering the good times of their childhood, the trouble they got up to as kids and the days of playing rugby together. They talked about mum and dad, Butch faded in and out of consciences with his fluttering eye lids slowly closing like a vice was clamping them together squeezing the life out of Butches soul. Stan shared one last song with his brother as the last breaths slowly ebbed from Butch’s fragile body. This tale and many more are shared on our Kokoda trail tours making a remarkable experience. The proof of the Australian’s soldiers courage and extreme mental toughness was on display on many occasions during WW2; however this inspiring story stands out. Corporal John Metson had his ankle smashed into pieces by a Japanese bullet during the Isurava battle. He was one of many troops cut off from their Battalion behind Japanese lines as the Australian’s withdrew to Alola. The troops were forced into the jungle during their hasty retreat. These troops carried the wounded in jungle made stretchers constructed from trees and vines. The carrying of one wounded man required eight men. These men were already loaded with their own equipment and weapons. Metson decided to spare his mates the burden of carrying him, choosing to crawl. Not being able to rejoin their Battalion at Alola, the group of men descended down hill to Eora Creek, making the difficult crossing in raging water in an attempt to rejoin the Battalion at either Eora Creek village or Templeton’s Crossing. For a period of 2 weeks they slashed their way though heavy jungle to find the Japanese advance was well in front of them. They had little food, foraging in the jungle for what they could. The men decided to head east of the Kokoda Track, where at the beginning of the Isurava battle the allies held the land and had camps there. Metson endured much pain but never let this slow his progress. All men in the party were growing weaker each day. They reached an abandoned village, Sangai, that offered shelter and a village garden with a little food. The stretcher cases including Metson were left at Sangai. The fitter men went ahead to reach an allied camp a few days away and would send back help. After reaching an allied camp planes were sent back to the now Japanese held Sangai area where food was dropped. A month later when the allies recaptured the area all of the men including Metson were found murdered where they laid to weak to fight. Enlisted as Pte Bertram Boase VX67866. Bert Boase was born in Adelaide on 23rd July 1916. His father Richard was fighting with the Australian Army in Europe at the time, which possibly explains his mother naming him just “Bert” when all the other children had two fancy names. Bert spent his youth in Adelaide and came with his family to Melbourne seeking work during the depression. He worked with his father, uncles, cousins and two brothers as a bricklayer, a job he was proud of. He married Elsie in January 1939 and their first child Noelle was born late that year. On the 13/12/1941 Bert walked into Town hall Melbourne to enlist in the army. His reasons for enlisting where he saw the threat Japanese posed as they had only bombed Pearl Harbor on the 7th 6 days earlier and he wished to protect his darling wife Elsie Boase or it may just have been a good job with pay and 3 square meals a day. Two days after enlistment Bert returned home on leave with out pay to see Elsie for what could have been his last time. Upon his return to the army Bert was transfer to the 6th Training Battalion. On ironically Australia day the 26th/01/1942 Bert went AWL for 24 hours and one would assume to return home to see Elsie and their daughter one more time. Bert heard about and witnessed troop movements that were happing at the time and he knew he might be posted to a venerable area at a minutes notice. On the 16/03/1942 Bert was posted to the 39th Battalion and to his surprise embarked the SS Tarooma that very day. 10 days later Bert disembarked at Port Moresby not knowing that in a little over 4 months from now he would be facing the Japanese on the other side of the country on the now infamous Kokoda trail. Bert would have walked past this place where we now stand as the Australians mounted a fighting withdrawal in their attempts to halt or delay the Japanese thrust for Port Moresby. Bert saw service with the 39th in the battle of Buna, Sanananda road and Gona, where the militia come to the relief of the AIF and broke the deadlock there with the capture of Gona. Bert was 25 years old and brother Don 29 so they were considerably older than the majority of young lads with them. Both men were used to working long hard hours out in all weather. This was most likely to have helped them to withstand to some extent the terrible conditions they faced over the coming months. They also had the added comfort of serving together. This type of emotional support could never be underestimated. A strong family sense of humor would always have been a big part of their lives and no doubt contributed to their ability to survive appalling conditions to which they were confronted. Again Bert ducked off for a quick break, he went AWL again on the 4/1/1944 and was fined 2 days pay for his time off. Only a few months later in Wondecla (1 hour south of Cairns) 19/04/1944 Bert suffered an injury. The injury concerned him enough at the time to make a report on a disability form. The following is recorded in his own words. “Happened to be near a game of football, the ball came near and I was mixed up in the play out of which I received the kick that caused my disability”. He suffered a fractured coccyx, which is a fracture to the tailbone. Bert was on guard duty at the time and the report signals alarm bells that perhaps Bert was engaged in the game all along and had to make a bogus report to how he acquired the injury to avoid getting into strife. Bert did not speak of the war, a few snippets now and then was all the family heard. One time when in Qld he saw the Lantana growing and out of the blue said how the soldiers picked it and put it in their hats as they marched. He also commented one day that he had lost his good watch burying Japs at the beach on the coast possibly after Kokoda. He spoke one day to his granddaughter about taking off his boot and sock and all the skin from his foot came with it. He said he just put the boot back and left it there. He spoke highly of the Salvation Army and the comfort they provided under terrible conditions and always supported them. The family have photos which he carried throughout the war, faded torn and water stained. 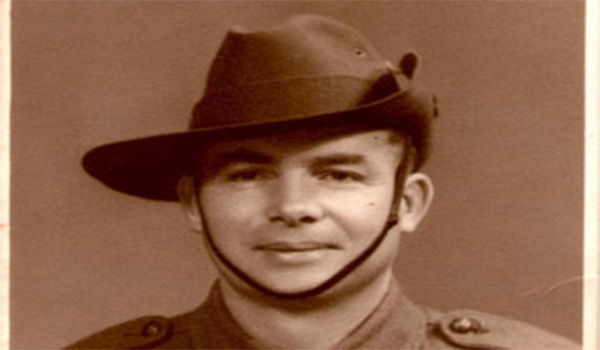 Bert served 708 days in Papua and was returned to Australia to serve as a guardsman attached to the 6 divisions in the 2/1st and 2/2nd Battalions seeing 662 days service in Australia. Bert was discharged from the AIF on the 13 of December 1945 with a total of 1438 days of active service for his country but no disability claim.